Cattaneo Commercial have just concluded a letting of a second floor office suite at the prestigious Two Furlongs in Esher. 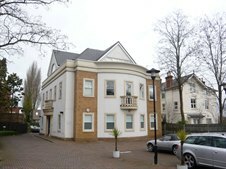 The suite comprised 1,690 sq ft of high quality office space with balconies and views of Sandown Racecourse. Cattaneo Commercial have a number of other suites available in Esher from 1,130 sq ft to 5,114 sq ft. For further information please contact Andrew Armiger on 020 8546 2166.